1. Draught Survey Code of Uniform Standards and Procedures by UN ECE: Under the auspices of the ECE Working Party on Coal, this Code of Uniform Standards and Procedures for the Performance of Draught Surveys of Coal Cargoes has been elaborate by experts from major coal exporting and importing countries and was completed in October 1991. The code was adopted by the ECE Working Party on Coal at its session in October 1991 and endorse by ECE Committee on Energy at its session in November 1991. 2. Procedure of Draft Survey By Prof. Dr. Yutaka Watabe – Tokyo University of Marine Science and Technology: General Procedure, Principals of Archimedes, ship’s design, displacement, draft mark, standard displacement by mean draft, trim correction, and estimation of displacement. 3. Bunker Survey Guide By CJA Marine Services: GUIDELINES FOR BUNKER SURVEYORS; which included: preliminary steps, procedures prior to bunkering, procedures during bunkering, after bunkering and handling dispute. 4. Measurement of Petroleum On Board of Marine Vessels By John A. “Jack Szallai – Orion Associates L.L.C: Marine measurements can also be used for custody transfer if no other valid means are available or the shore side custody transfer system is not available or functioning properly. Measurement of petroleum on board marine vessels, ocean or inland, are generally based on the American Petroleum Institutes “Manual of Petroleum Measurement Standards”, Chapter 17, with cross references to other pertinent chapters. The material includes: petroleum measurements, free water, ROB/OBQ, sampling, temperature, Vessel Experience Factor and summary. 6. Liquefaction (Iron Ore Fines and Nickel Ore by The Standard Club: Shipper’s responsibilities, appointment of an independent surveyor, transportable moisture limit and flow moisture point, Flow table and the can test, trimming, case studies and responsibilities. 8. Master’s Guide to Container Securing by The Standard Club: The purpose of this guide is to discuss container securing systems, the causes of lashing failure and to offer advice as to how losses can be minimized. 9. Master’s Guide to Hatchcover Maintenance by The Standard Club: It is the aim of this guide to explain the key issues of hatch cover security and to steer mariners towards active maintenance. It is less expensive to keep hatch covers weathertight by regular maintenance and attention to detail, than to pay claims for wet-damaged cargo. It is crucial for safety at sea and protection of the environment to maintain hatch cover weathertightness and strength. This guide concerns steel hatch covers fitted with cleats, compression bars and gaskets. 10. A Basic Packing Guide by M.E. DEY: CERTIFICATION OF INTERMODAL CONTAINERS; A number of independent firms provide testing and inspection services for inter-modal container operators. Certification of adequacy of construction occurs prior to delivery of the new container to the carrier, and periodically thereafter. The purpose of this guide is to assist a ship’s officers and crew involved in bunkering operations to act in compliance with applicable regulations and industry best practice; the guide will also be of value to shore staff. Work in confined and enclosed space has a greater likelihood of causing fatalities, severe injuries and illness than any other type of shipyard work or onboard ships. This Surveyor’s Glossary of Hull Terms is intended as a guide to improve the standardization of survey reporting. It is recommended that the listed terms for hull structural elements are used throughout report narratives. The Glossary also includes definitions of common hull survey terms that are applicable for surveys of hull structures and reporting. For the purpose of this Procedural Requirement a Surveyor is any person employed by the classification society conducting activities within a confined space on behalf of this classification society. This document contains the report of the Correspondence Group on the Revision of the Code of Safe Practice for Ships Carrying Timber Deck Cargoes. This document is a procedural description of how LNG (liquid natural gas) bunkering between two ships should be done. examination of lifting appliances and what is required of them before an examination takes place. When carrying steel products by sea, it is essential to ensure that neither the steel nor the ship suffers damage, that the ship is fit to receive cargo and that the cargo is safely stowed and secured. Steel is a high-value cargo, a cargo easily damaged by rough handling, water and moisture. Its weight presents substantial challenges with stowage and securing. This guide aims to provide an insight into the correct method of loading, stowing and securing steel cargoes. Its advice, if followed, will assist in the avoidance and prevention of steel cargo damage claims. This edition of Standard Cargo sets out the steps that the club as a third-party liability insurer believes the ship owner should consider before carrying general cargo on a container ship. Convert is a free and easy to use unit conversion program that will convert the most popular units of distance, temperature, volume, time, speed, mass, power, density, pressure, energy and many others, including the ability to create custom conversions. All calculation in program based on ASTM Table 54A – Generalized Crude Oils of Volume to 15 C againts Density at 15 C.
All calculation in program based on ASTM Table 54B – Generalized Products Correction of Volume to 15 C againts Density at 15 C.
API Specific Gravity and Density Converter, Weight Correction Factor (WCF), Gross Standar Volume (GSV) Conversion Factors and Russian Calculation by Captain Ioannis Filippou. A petroleum calculation Program. It is shareware and may be distributed freely. Table associated in program are ASTM 5A & B, 53A & B, 6A & B, 54A & B. Also Temperature conversion, Gravity Conversion, Gauging, Addictive and Calculator. A Draft Survey calculation Program. For easy draft survey calculation and save your survey time. For full version, please contact me. A Petroleum calculation program. For shipboard survey with calculation and ullage report based on Astm Table 6 and Table 54. A Petroleum calculation program. 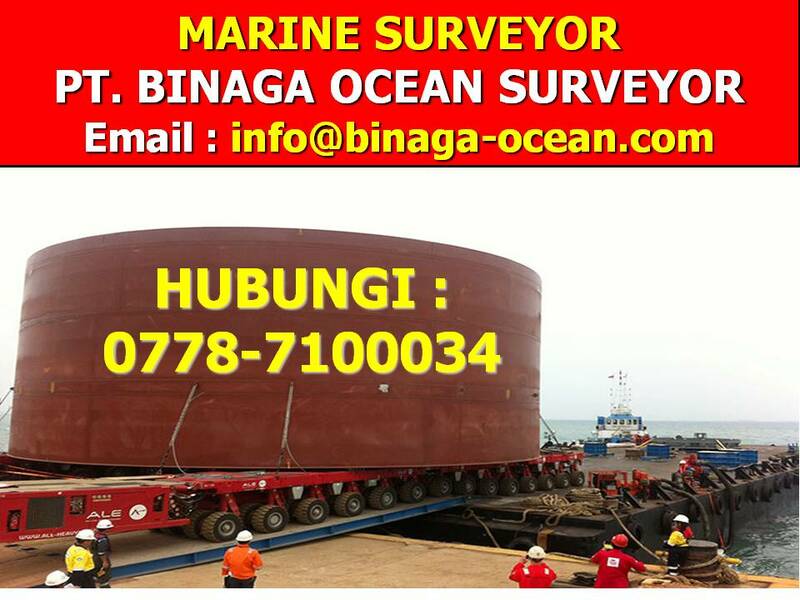 For shipboard survey with calculation and ullage report based on Astm Table 6B . A Bunker Tank Sounding calculation program. Bunker survey calculation for tank sounding report based on Astm Table 54B . 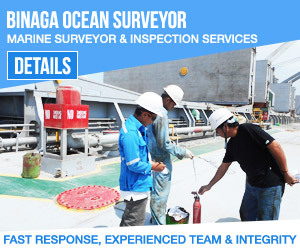 Demikian tulisan kami tentang 28 Jenis Marine Surveyor Software Yang Paling Dibutuhkan Pelaut semoga bermamfaat bagi anda yang sedang berkunjung ke website kami ini http://jobspelaut.blogspot.com dan bagi anda yang tertarik dengan kehidupan sebagai seorang marine surveyor ataupun bagi pelaut yang ingin berkarir kerja di darat menjadi seorang marine surveyor mungkin anda bisa melihat-lihat dulu website seorang marine surveyor indonesia di link ini http://marine-surveyor-indonesia.blogspot.com/, terima kasih atas kunjungan anda !